Need some fun plans for the weekend? Check out our Pizza, Bowling, and Soda Special which includes 2 hours of bowling, one large pizza, one pitcher of soda, and free shoes for each bowler! 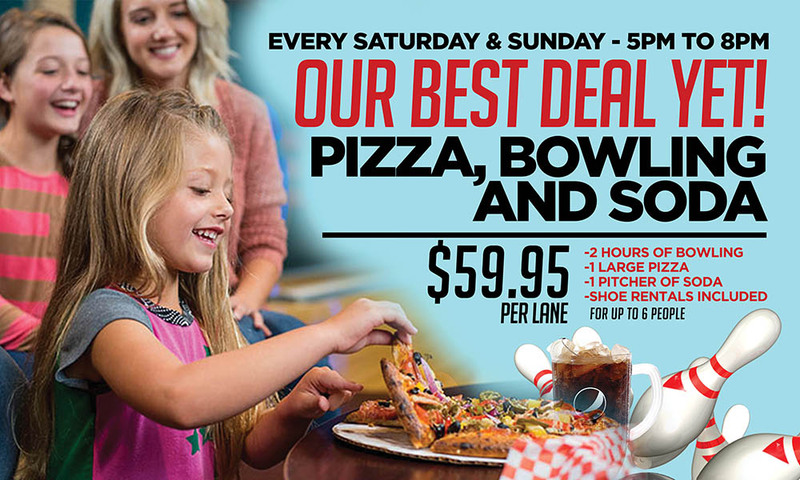 Just $59.95 per lane (up to 6 people) every Saturday & Sunday 5PM – 8PM! Nothing goes with pizza night better than BOWLING at Lakewood Lanes.